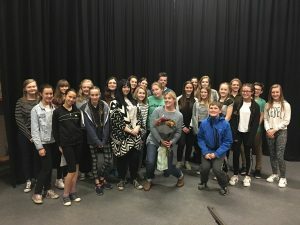 Welcome to BrightLights Theatre School, the East Midlands most exciting Performing Arts School for 5-18 year olds. Now in our 8th successful year, and with 7 schools and well over 360 students, BrightLights continues to grow by providing quality, affordable performing arts training for children and young people! BrightLights is run by a professional actor, with regular guest teachers from London’s West End, TV and Film. Students in our main schools perform at least twice a year, including a fully staged, fully costumed musical at Loughborough Town Hall each summer. Here you can find out all about us, our students, our performances and the latest news on our future Guest Teachers and events! Don’t forget to sign up for our newsletter, ‘like’ our Facebook page and follow us on Twitter! See what people have to say about us..
BrightLights is thrilled to announce our 2019 Town Hall shows. 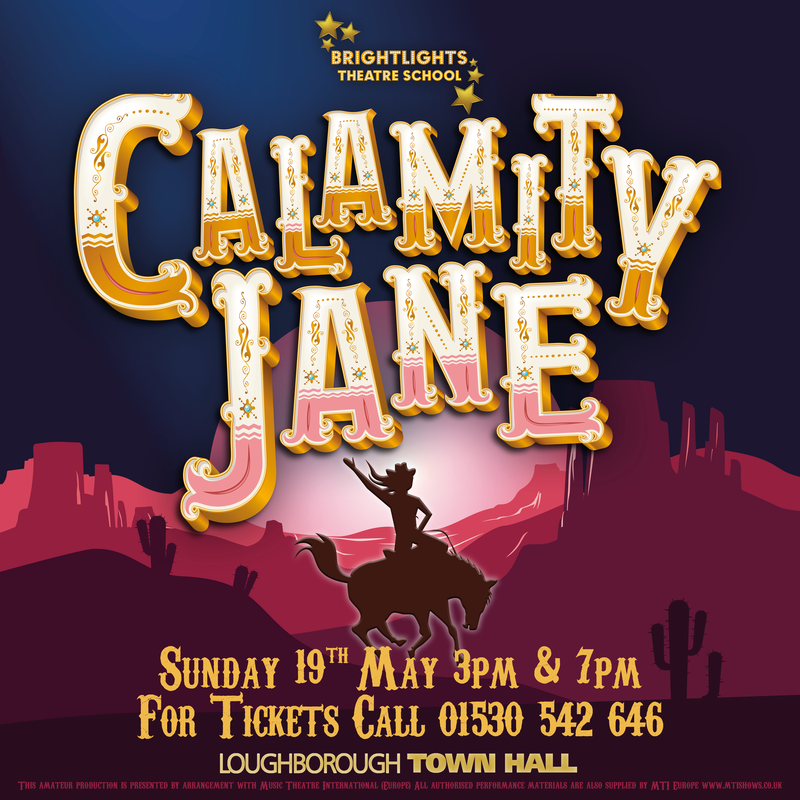 First up in 2019 will be our Coalville Friday school and our Loughborough Wednesday school, who will be joining together to perform Calamity Jane at Loughborough Town Hall on Sunday 19 May with performances at 3 pm and 7 pm. 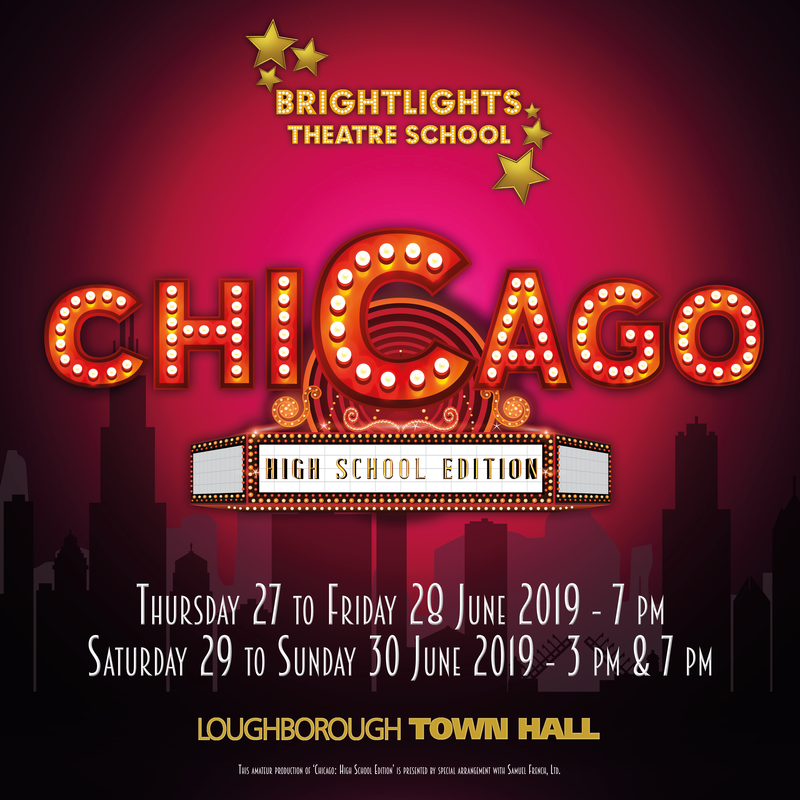 Following on our 3 Loughborough weekend schools will all perform Chicago from Thursday 27 to sunday 30 June. Each school will perform twice, meaning we will have 3 completely seperate casts! Tickets are now on sale, priced at £12.50 each direct from us, or through any BrightLights student. Please call 01509 646647 or 01530 542646 to book!